When there's no grand vista to photograph, I like to look for smaller more intimate scenes. 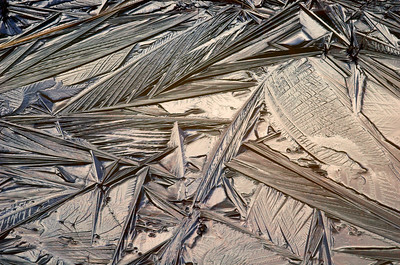 I find that smaller landscapes can be much more interesting, providing lots of little details that are otherwise overlooked. Fallen leaves around a fern. 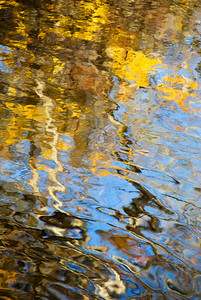 Reflections of fall leaves on Little River, Great Smoky Mountains National Park. 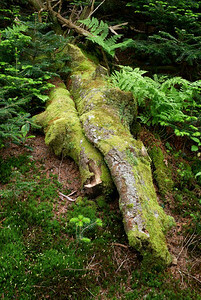 A fallen log on the forest floor, Roan Mountain, Tennessee. 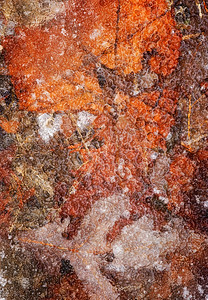 Fallen autumn leaves under a layer of ice. 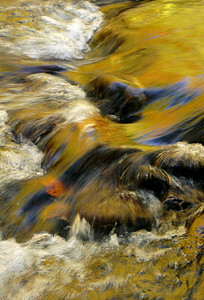 Reflections on a small river cascade. 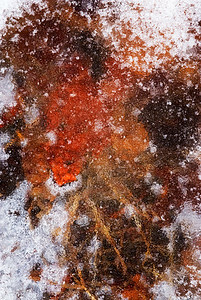 Ice formations over a puddle on a very cold winter morning. 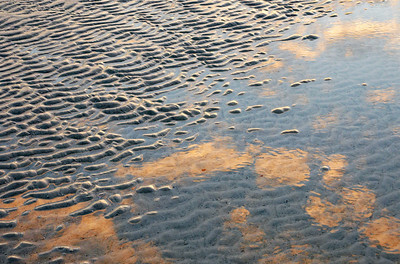 Evening cloud reflections along the beach. 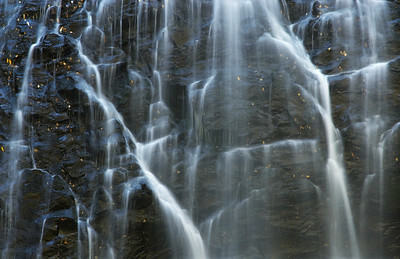 A small cascade flowing over the rocks. Jones Gap State Park, near Greenville, SC. 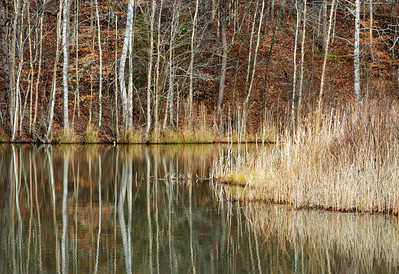 Reflections of trees on a small lake. 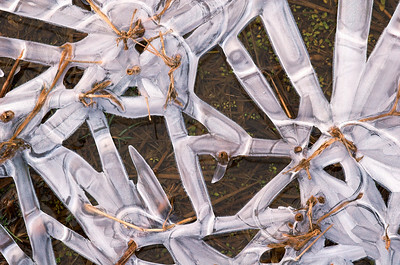 The ice creates interesting patterns on top of a frozen puddle. 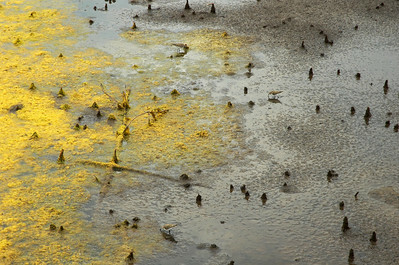 Odd looking yellow algae in the marsh, near Myrtle Beach, SC. Can you find the three small birds? 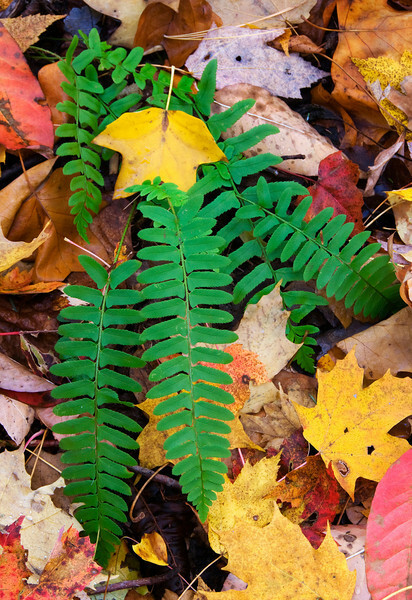 Ferns in the forest, Roan Mountain, Tennessee. 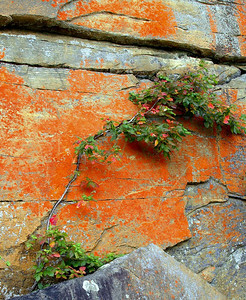 An odd rock formation with a vine growing across it. This is located in Chimney Rock Park, Chimney Rock, NC. 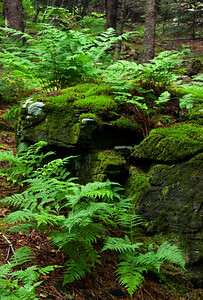 The film "Last Of The Mohicans" was filmed here, and this rock wall can be seen in the movie. 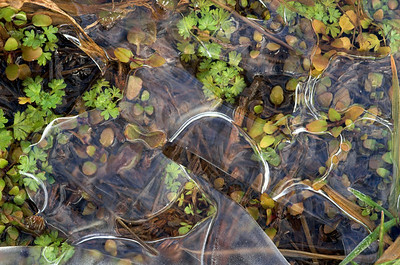 A thin sheet of ice covers some small plants in a field near my house in Rutherfordton, NC. 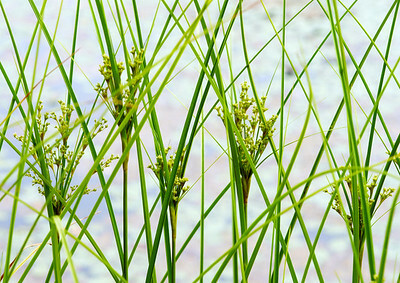 Marsh plants growing along the edge of a small lake. 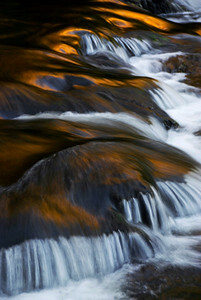 Close up of Crabtree Falls, near the Blue Ridge Parkway, North Carolina. 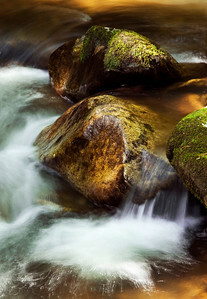 A small cascade on the river along the trail to Abrams Falls, Great Smoky Mountains.